How has a word as simple as outsourcingcreated such interest? It is not a new phenomenon, but part of a highly competitive business reality—agility in the delivery of facility services. For years, outsourcing meant little more than contracting out the few services that could not be done in-house, such as building construction, remodeling, and tenant improvements. However, the term is taking on more significance. The array of services and functions that constitute the facility management profession is now so wide that an organization cannot provide all or even a major portion of facility services itself. Despite protests from senior managers and human resource professionals, most practicing facility managers cite two reasons to outsource. First, to reduce personnel, even if doing so does not reduce direct costs. Second, to simplify the personnel decisions—especially disciplinary ones—associated with permanent employees in large organizations with complex personnel policies. Whether you have a marketing plan in place or are looking to create one, understanding its elements is key in helping sell or rent your property. 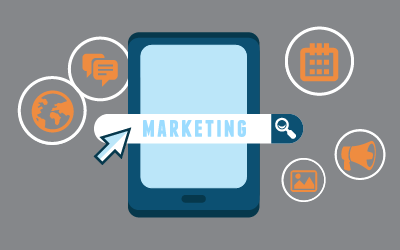 A marketing plan is a tool for organizing the planning, pricing, and promotion of a product. Creating a marketing plan is a fundamental exercise for every business. Your building is a business. Its marketing plan should identify the target market to which you are going to sell space, the price, how you are going to make the building unique, and methods for communicating with those target markets. The development of a project team is critical to the success of any project. 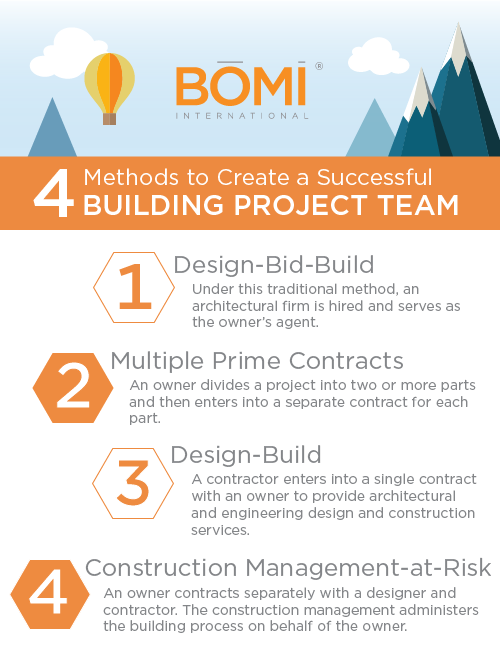 In the building industry, owners and developers have several methods available for creating a project team. Project Delivery MethodsThere are four primary project delivery methods used, each having benefits and limitations. The intent of the project and its goals regarding schedule, costs, quality, and safety will help determine which method is the correct one. 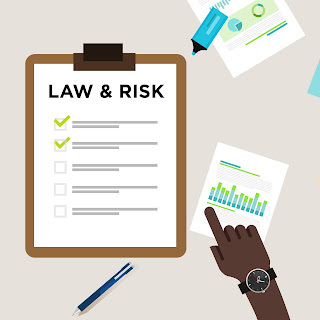 Remedies Available to the LandlordCommercial leases are frequently written by landlords with innumerable covenants, conditions, and requirements for the tenant to meet. Many of these can be negotiated. If a tenant is in default, the landlord has a number of remedies at its disposal. The landlord may exercise more than one remedy, either concurrently or in the future.